Obama administration knowingly granted $200,000 to designated Al-Qaeda affiliate, Middle East Forum says. 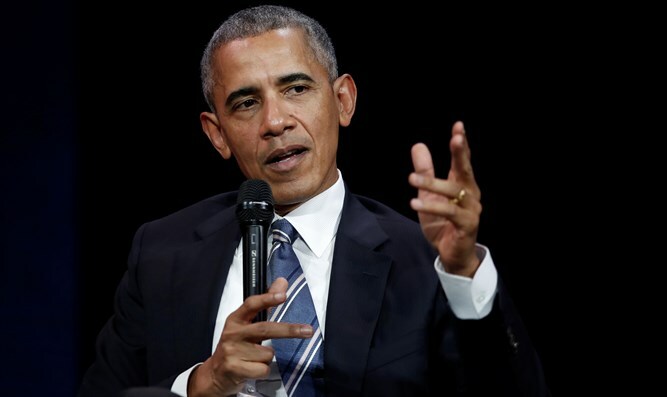 The Obama administration approved a grant of $200,000 of taxpayer money to an al-Qaeda affiliate in Sudan, the Middle East Forum (MEF) discovered. The grant was approved ten years after the US Treasury designated the Islamic Relief Agency (ISRA) as an organization which funds terrorists. Government officials also authorized the release of at least $115,000 of the grant after they realized that the Khartoum-based ISRA was on the Treasury's list of terror organizations. ISRA, also known as the Islamic African Relief Agency (IARA), was designated as terror-supporting organization in October 2004, due to its connection with Osama bin Laden and his terror organizations Maktab al-Khidamat (MK) and Al-Qaeda, MEF reported. According to the Treasury, ISRA began cooperating with MK in 1997, raising $5 million for the terror group by 2000. In 2003, ISRA raised money to help fund Hamas suicide bombings. The group also tried to help "relocate" bin Laden and "secure safe harbor for him," MEF emphasized. In 2004, the Treasury's ban included all branches of ISRA, including a US branch, Islamic American Relief Agency (IARA-USA), which had illegally transferred upwards of $1.2 million to terror groups and Iraqi rebels. In 2010, former US congressman Mark Siljander (R., Mich.) pled guilty to the obstruction of justice and acting as an unregistered foreign agent. He had received over $75,000 from IARA-USA to lobby the US government to remove ISRA/IARA from the Treasury's list of terror organizations. In July 2014, the US Agency for International Development (USAID) granted $723,405 to a charity called World Vision Inc. The funds were to be used in Sudan's Blue Nile state for the purpose of improving "water, sanitation and hygiene and to increase food security in Sudan’s Blue Nile state." However, $200,000 of the total $723,405 were earmarked for ISRA. In November 2014, a World Vision official told World Vision that ISRA may be on the Treasury's list of terror organizations, a USAID official told MEF. On May 7, 2015, OFAC licensed World Vision International and authorized "a one-time transfer of approximately $125,000 to ISRA." Of the $125,000, $115,000 "was for services performed under the sub-award with USAID" and the additional $10,000 was for "an unrelated funding arrangement between Irish Aid and World Vision." In August 2015, USAID official Daniel Holmberg informed an official in the State Department that ISRA's executive director had requested guidance on how ISRA could remove itself from the US list of terror organizations. Speaking to the National Review, US State Department spokesperson Heather Nauert said, "As this occurred under the prior Administration, the current Secretary of the State, Secretary of Treasury, and USAID Administrator had no involvement in decisions surrounding this award or subsequent license."